Dr. John Loring, a geochemist at Pacific Northwest National Laboratory, was quoted by reporter Rachel Berkowitz about PNNL's investigations related to carbon dioxide storage under the Carbon Sequestration Initiative. The article "Trapping and keeping carbon dioxide emissions" was published in the September 11 online edition of Physics Today. 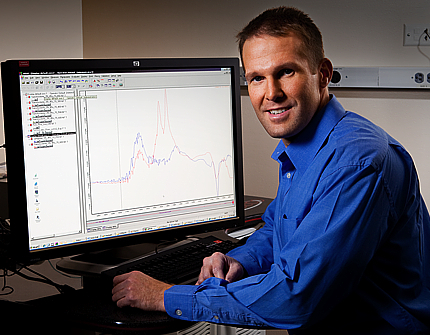 Loring is a principal investigator for the CSI's project "In Situ Molecular-Scale Investigations of Reactions between Supercritical CO2 and Minerals Relevant to Geological Carbon Storage."